A daily skin routine or important for keeping a healthy fresh looking skin, however sometimes we need to leave it for the pro’s and get a facial treatment at a spa like Bali Secret Beauty Spa in Mount Lawley. A cleansing facial at a spa is usually much better and deeper than the one you can do at home, and will help prevent the buildup of oils, toxins and dirt from the environment, and such removing harmful bacteria that leads to skin issues. A good exfoliation treatment such as microdermabrasion works by removing dead skin cells from the top of the skin, and also unclogs your pores, which in turn allows other products to be absorbed into the skin. As a result, your skin will feel smoother and cleaner, and will allow putting on makeup to be much easier. If your skin is prone to acne, incorporating extraction to your facials will also assist removing blackheads and pimples, and will help prevent breakouts. 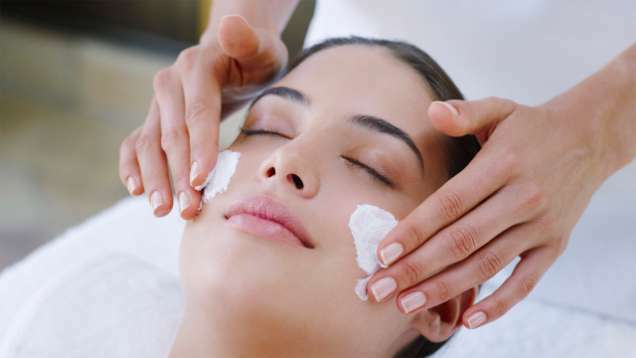 Regular facials will help slow down the effects of aging on your skin, and also help stop the appearance of wrinkles. By massaging your face with special anti aging creams, your blood flow and circulation increasing, bringing in more oxygen to your face. This assist the production and movement of collagen which in turn helps keep your skin elastic. It’s never too early to start looking after your skin! Massages are great for relaxation, stress relief and balancing your mind. Just like the rest of your body, the muscles in your face need massages, and most facial treatments at Bali Secret Beauty Spa in Mount Lawley Perth will include one. The result of massaging your face is a boost in circulation, stimulating the lymph system which in turn helps remove toxins from the skin, making it look younger and healthier. With the addition of the beautiful smell of the face masks, facials are overall hugely relaxing experiences. All of the processes during a facial leads to the rejuvenation of your skin, or in other words – a renewed, fresh looking face! Following regular facials, you will enjoy the appearance of healthier, radiant looking skin with a balanced glowing complexion. It’s important to remember that you might not see results immediately, but in the long run you skin will eventually be restored, so keep this in mind if you feel like you’re not getting results you had hoped! It’s never to late to start a good facial routine! At Bali Secret Beauty Spa, we have a large range of facials to suit any skin types or skin conditions. Start your improved skin routine with us today!